Marcus Aurelius Valerius Maximianus Herculius Augustus was Roman Emperor from 286 to 305. He was Caesar from 285 to 286, then Augustus from 286 to 305. He shared the latter title with his co-emperor and superior, Diocletian, whose political brain complemented Maximian's military brawn. In late 306, Maximian took the title of Augustus again and aided his son Maxentius' rebellion in Italy. 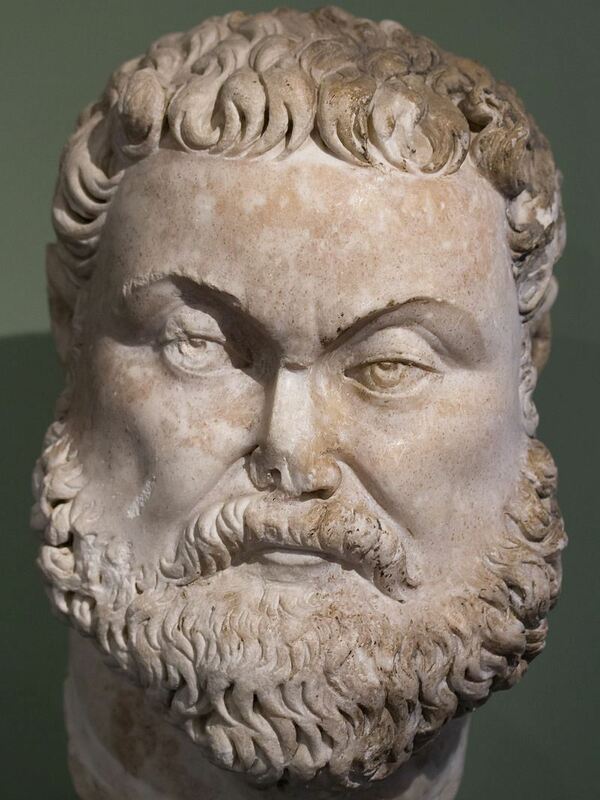 In 308, Diocletian and his successor, Galerius, forced Maximian to renounce his imperial claim again. In early 310, Maximian attempted to seize Constantine's title. Few supported him, and he was captured by Constantine in Marseille. Maximian killed himself in mid-310 on Constantine's orders.